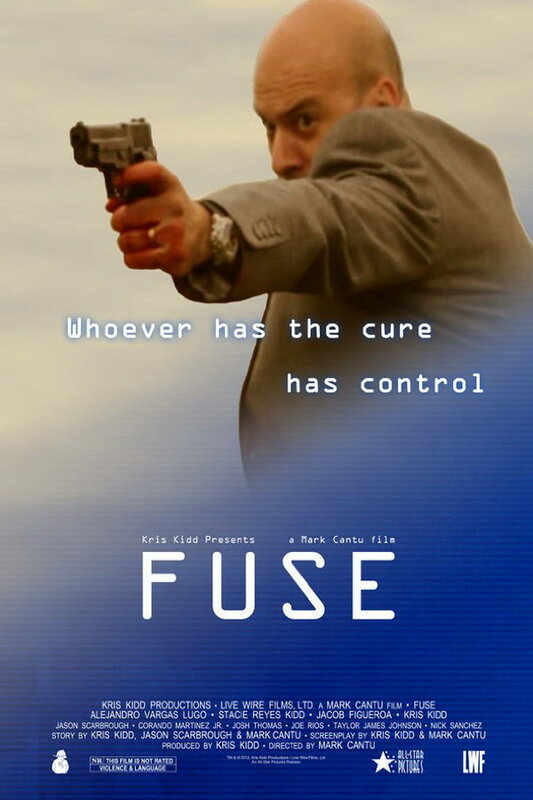 Fuse font here refers to the font used in the poster of Fuse, which is a 2012 short action movie set in the near future when a virus has eradicated parts of civilization and the only hope lies with the cure known as Narcissus. The font used for the movie title in the poster is probably OCR-A Medium, which was produced by American Type Founders in 1968 and it is one of the first optical character recognition typefaces to meet the criteria set by the U.S. Bureau of Standards. More details about the typeface can be found here. In addition to Fuse, OCR-A typeface is also used in the following logos, movie posters or album covers etc., including: 13 Hours (film), The Den, The Pretender, Disturbia.